Almost everyone has stood outside at night and gazed at the moon. Something about staring at the moon is comforting and relaxing, right? 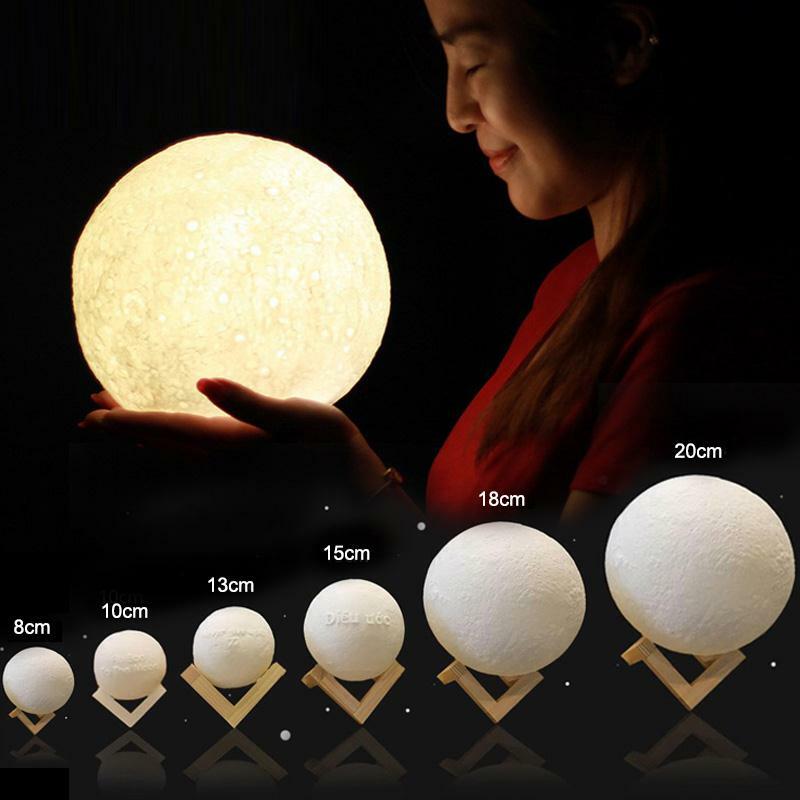 Well, with our 3D printed Moon Lamp you can have your own mini moon in your home! You can use it as a night light, reading light or just adjust the brightness to your liking so you can enjoy a relaxing/romantic night. Just choose the right size for you then sit back and enjoy! It is 3D printed layer by layer to assure the most realistic look possible. You'll literally bring the moon out of the sky and into your home! You can also adjust the brightness of each light mode to your liking. ﻿To turn off/on or change the lighting of the lamp you simply press or hold the button on the bottom. It comes with a charging port so you can take it with you on-the-go. Our moonlamp has been proven to be a great gift for for anyone. No one is able to resist it's charming moonlight. We NOW currently offer 6 different sizes! By popular request, we worked together without our artisan and were able to craft even larger sizes! You can now choose 18cm and 20cm sizes!